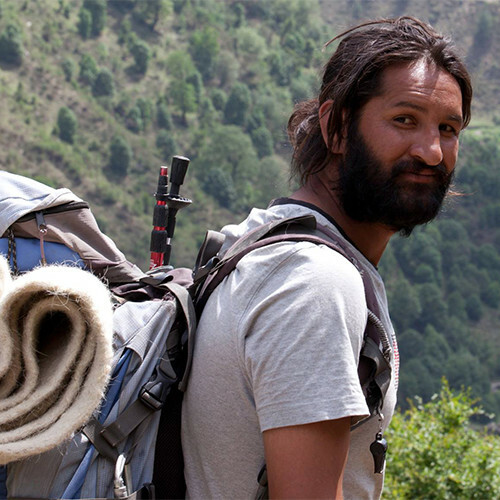 Found 5 guides for Har Ki Dun trek. This is a beautiful trek, the path of which is dotted by ancient villages, magnificent peaks, sparkling beautiful rivers and green meadows all of this while you walk across the lovely Har Ki Dun valley. In Spring you would be welcomed with the fragrance of the valley flowers. Its important to be alert on this trek as you could be greeted by a Barking Deer! The wildlife in this area also consists of Bores and Leopards. The Leopards keep themselves out of the way, so there is nothing to fear. On this trek you get majestic views of the towering peaks of Swargrohini I, Swargrohini II and Swargrohini III, Bandarpoonch, and Blackpeak. You also get to explore the Juandhar Glacier. Come to think of it, this trek has everything a person could ask for and then it gives some more! 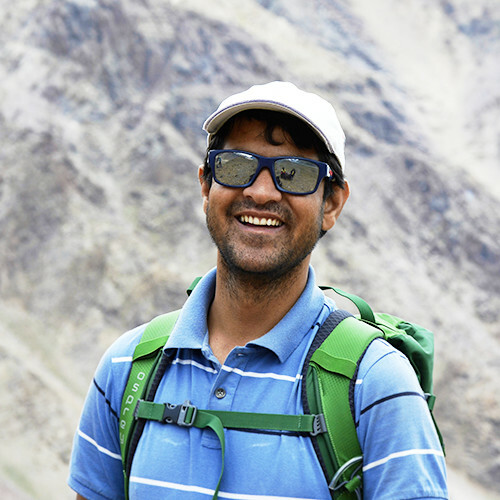 So do join one of the local guides and plan this trek with your family. For more information, contact any of the local guides. Reporting for the trek is at Taluka a day before, which is a 10hrs drive from either of Dehradun or Haridwar. You could catch a late night train from New Delhi to Dehradun. The train will reach early in the morning by around 6 or 7 am. From Dehradun, you could take a shared taxi to reach Taluka. The trek will start at 8 am in the morning. Taluka is at 5730 feet above sea level. The trail will take you through forests. The trail is easy on the first day with not too much of elevation gain. This should be an easy day. We will have packed lunch on the way and we should be able to reach Pawani Gharat by 3 or 4 pm. Pawani is at an altitude of 7600 feet. Like on the first day, we will have our breakfast and will start early. Just a little bit earlier at 7 am. On this day we will be going to Kalkati Dhaar. Kalkati Dhaar is around 10680 feet above sea level. The days journey will be beautiful and also a little sunny as the route will not have many trees or forests. We will have a packed lunch on the way. On this day we will cover a distance of 7 kilometers. We should reach Kalkati Dhaar by 3 pm. On this day we will proceed to Har Ki Dun. Har Ki Dun is at an altitude of 12200 feet. The total distance we will cover will be 5 kilometers. This days trek will be easy and very beautiful. We should be able to reach Har Ki Dun by 1 or 2 pm. Day 4: Explore the area. On this day we will trace our way back to Pawani. The distance will be 12 km and since it will be downhill we will be able to easily cover it. We will have breakfast and start by 8 am on this day. The distance from Pawani Gharat to Taluka will be 12 kilometers.